President Trump is reportedly ready to fulfill one of his most controversial campaign pledges: pulling the United States out of the Paris climate agreement, a landmark 2015 treaty in which nearly 200 countries committed themselves to reducing carbon emissions and tackling global warming. An unlikely alliance of environmentalists, European leaders, the pope, Exxon Mobil, and even some White House staffers had mounted a fierce lobbying campaign to keep Trump from taking this step, arguing that the Paris accord is essential to the health of the planet and the credibility of the United States. Apart from symbolic thumb-nosing, however, the administration has little to gain from leaving the Paris agreement. For one thing, the Paris accord was organized around voluntary commitments, not mandatory ones. Countries that sign on are expected to develop tailored plans to reduce emissions and to report back periodically on progress, but that’s about it. Doubtless, negotiators had hoped that the United States would produce aggressive plans, implement them in good faith, and ratchet up their goals with every carbon-busting technological breakthrough. But they didn’t specify any punishments for falling — or refusing to try. In that sense, Trump could have defunded the Environmental Protection Agency, ignored Obama-era pledges, and still remained a participant in the Paris agreement. He would probably earn some rebukes from the international community, but nothing worse than what he’ll get for pulling out. Plus, by leaving Trump could create an international vacuum that other countries are eager to fill. The treaty won’t disappear just because the United States abdicates; Russia and Turkey are the only major emitters who seem to be toying with the idea of following Trump toward the exit. Other would-be world leaders may instead spy an opportunity. Already, Chinese President Xi Xinping has signaled that China is ready to become a leading voice on climate change. More generally, the US departure could unintentionally strengthen the fight against global warming; without US foot-dragging, China and the EU could push for stricter carbon standards or change the norms of sustainable economics in ways that hurt US trade. Then, of course, there’s the most basic reason to support the Paris agreement, namely that global climate change is now a well-established reality, with risks that could potentially outstrip humanity’s ability to adapt. This might have been a clinching argument, except that lots of Americans simply don’t believe it, and most of them belong to the party that nominated Trump. Only about 20 percent of Republicans think global climate change is a very serious problem, compared with 68 percent of Democrats. This situation is not entirely unique to this country. In Italy, France, and Britain, too, lefties tend to take global warming far more seriously than conservatives. But across Europe, this divide among people doesn’t translate into a divide between parties. 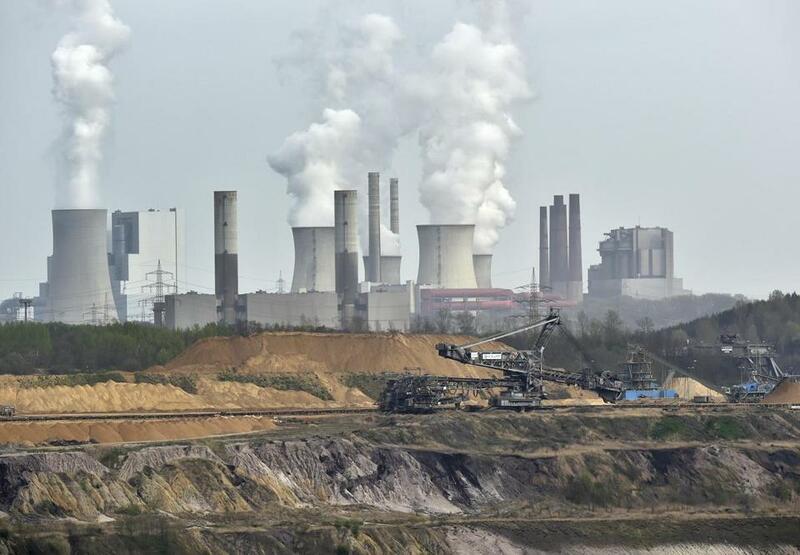 Political leaders of the left and right generally accept the reality of climate change, disagreeing instead about the most cost-effective ways to address it. Not so in the United States, where one party largely heeds the research and the other is willing to tolerate — or sometimes embrace — a rejection of the science. This widespread doubt about the legitimacy of climate science has enabled Trump’s decision to withdraw from the Paris agreement. The United States is one of the few places where withdrawal is a real political winner, allowing Trump to reaffirm his brand as an “America First” president standing firm against what many see as the misguided consensus of global elites. Trouble is, it will also leave America alone on the outside, losing influence as the earth goes on warming and the rest of the world continues to seek out solutions.